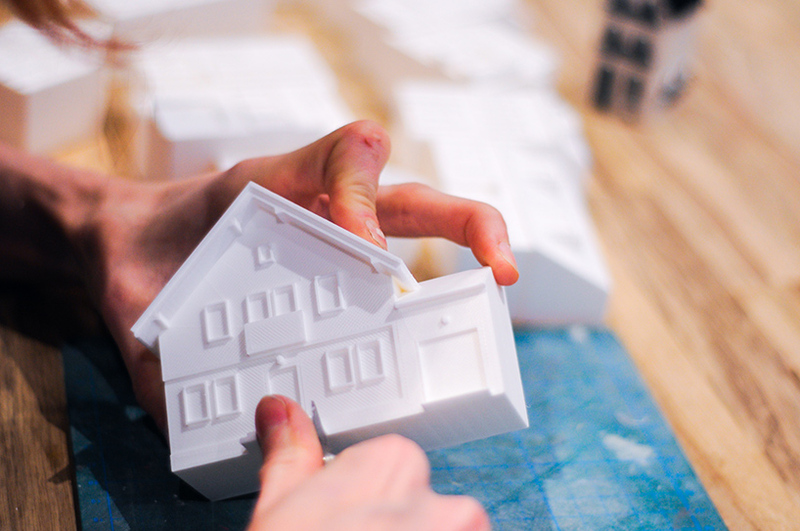 local makers — a prototyping company that sells 3D printers — has launched a kickstarter campaign to create customized, 3D-printed miniatures of houses. 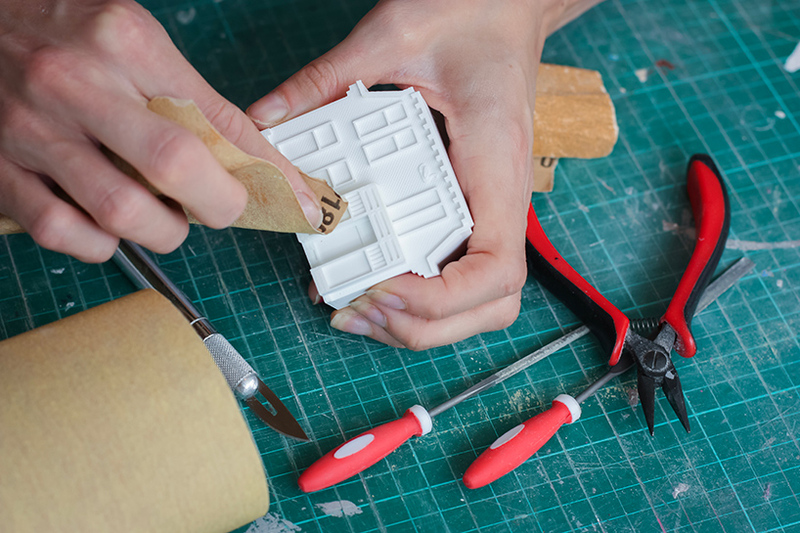 the makers first create a digital 3D model of any home following specific design guidelines acquired from photographs or mapping software such as streetview. 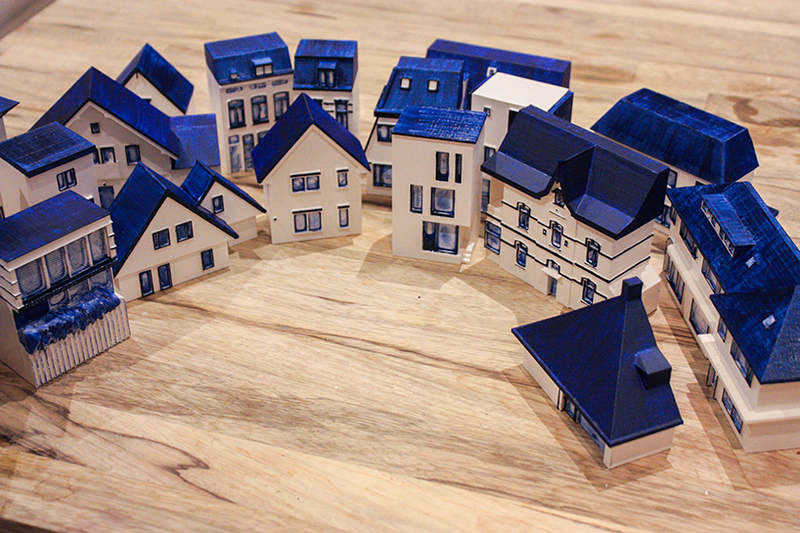 every house is then sized proportionally and represented in careful detail. 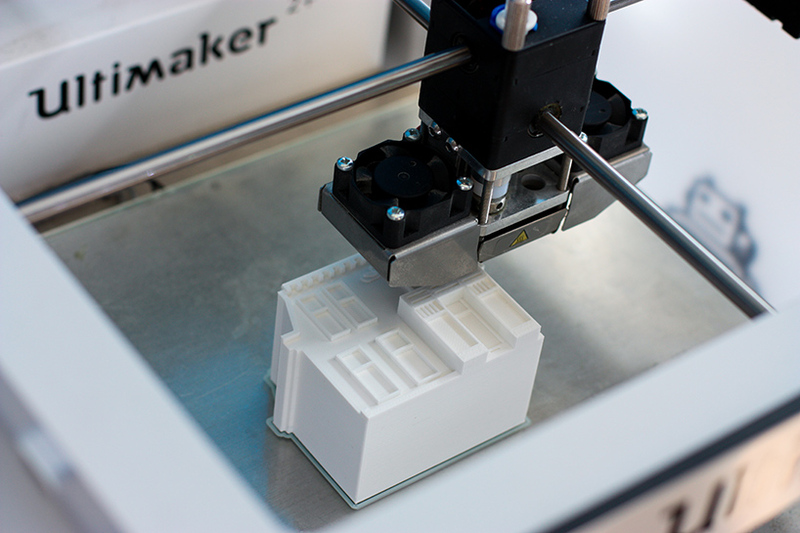 after creating a precise 3D model of the home, local makers print the homes using ultimaker 3D printers and bioplastic material. 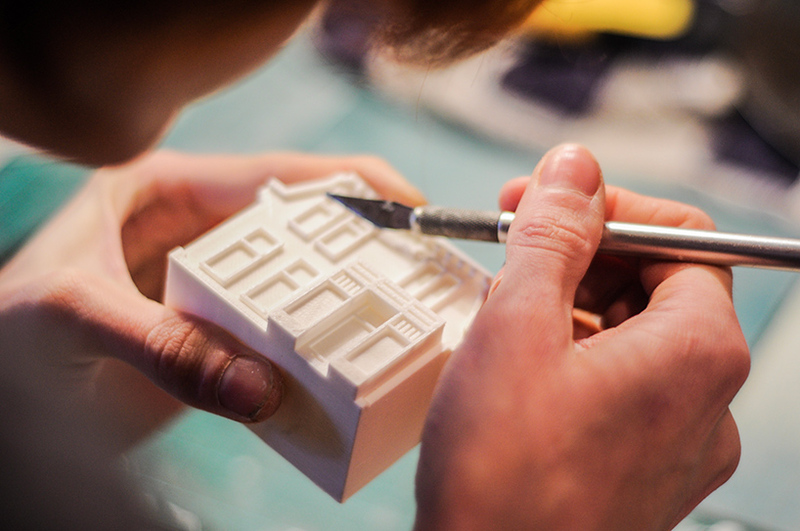 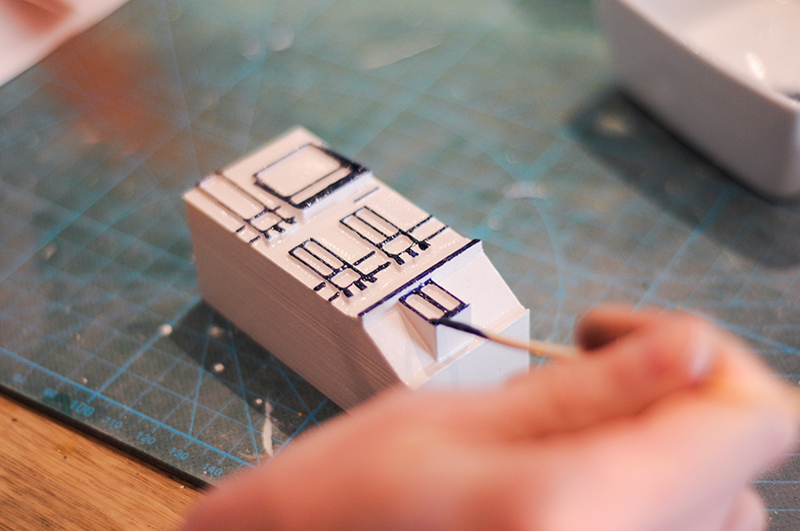 after printing the precise figure, the model is lightly sanded and prepared to be painted. 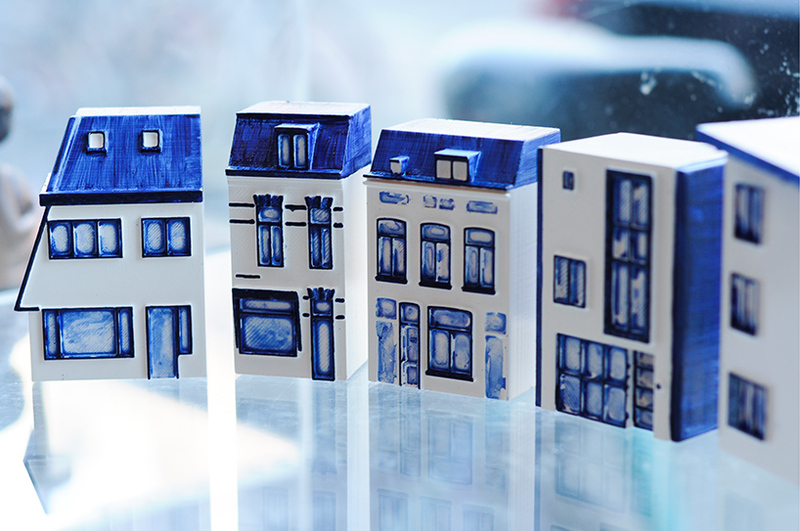 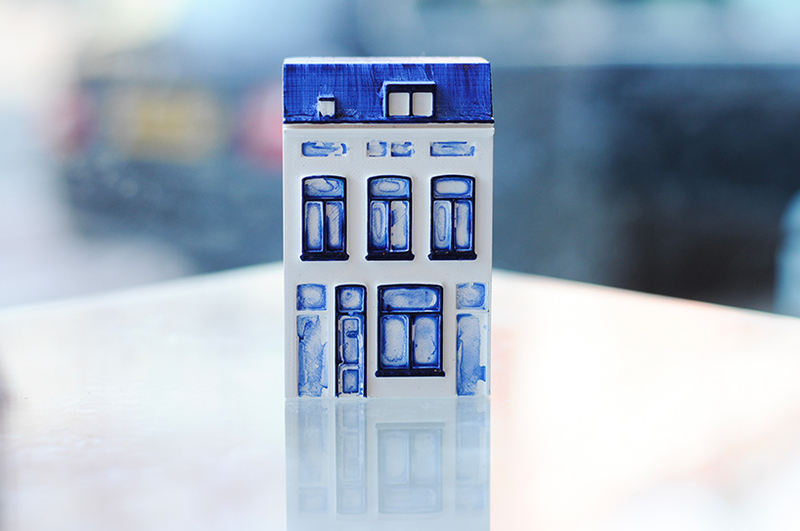 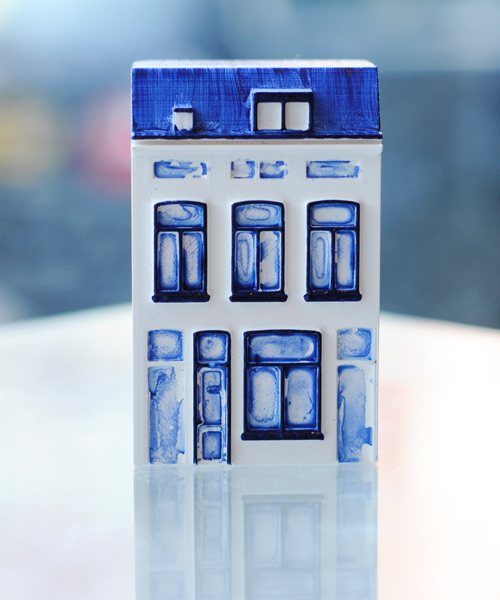 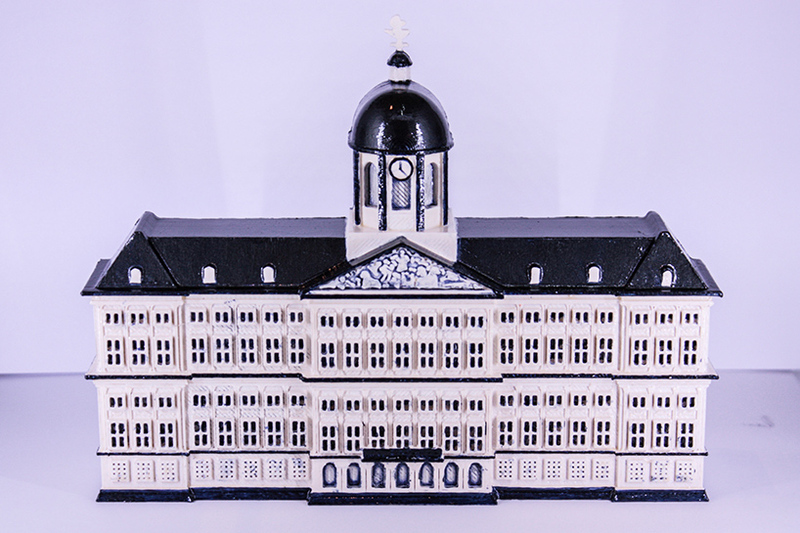 each house is hand painted in the famous dutch style of delft blue. 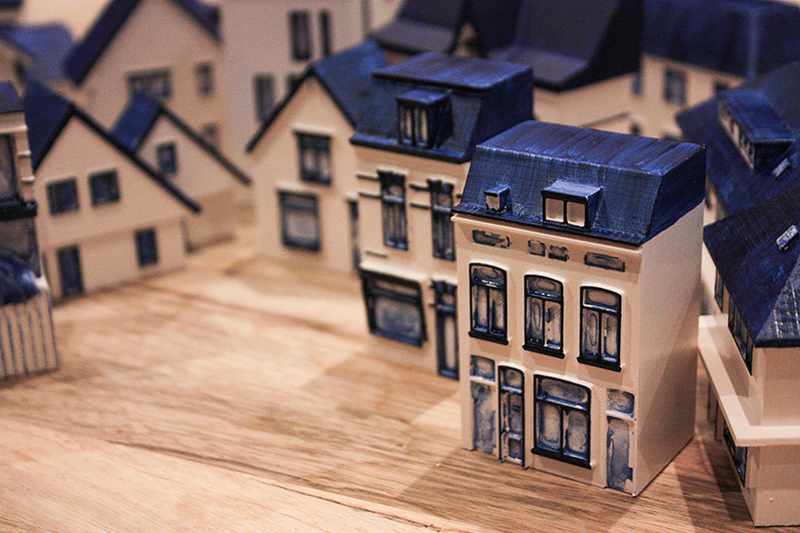 details are only rendered on the front and sides of the home. 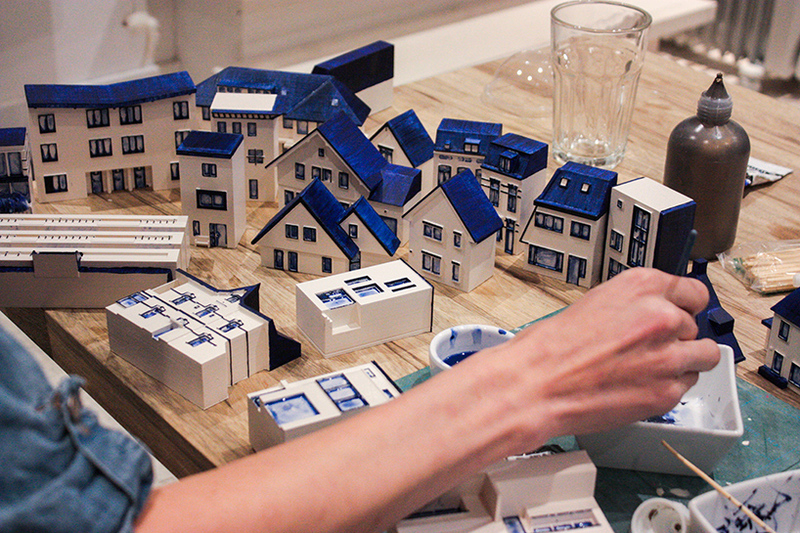 the process takes about 2 days and gives each supporter of the kickstarter campaign their own, customized miniature of home.